In my pursuit of trying healthy soup recipes for this winter, I tried this version of leek soup recipe. Instead of adding regular potatoes, I used sweet ones. Remember how I made this hearty sweet potato soup a few weeks ago? I loved the taste. Since then, I am trying to replace the regular potatoes with sweet ones to see how they work. My latest creation: a leek and sweet potato soup! Read on to see how to make this healthy soup recipe. Wash sweet potato and peel it. Dice it in small cubes. If you cannot, just cut in small chunks. Wash the leeks and dice them. It is my least favorite part as cleaning the leeks can be daunting: some dirt gets caught inside the leaves, so make sure to clean it well. In a large pot, add the butter and onions. Let it cook until onions are tender. Add the garlic, sweet potatoes and leek. Add the seasoning. Let it simmer for few minutes until leeks are tender. Let it cool. Puree in your favorite blender. Add it back to the pot and add coconut milk. Voilà. It is an easy healthy soup recipe that can warm you during those cold winter nights. Looking for even more delicious soup recipes? Check out our Pinterest board! Do you have a favorite version of a leek and potato soup? What kind of easy healthy soup recipes does your family enjoy on chilly nights? This sounds delish! I can’t wait to try making this for my husband. Would you believe I’ve never tried leeks? Mainly, because I’ve been afraid of how to cook them right. I will have to keep an eye out in the produce section and give this recipe a try! I really enjoy Leeks and often put them in soup. But I never thought to put them with sweet potatoes! Sounds great! Oh you are speaking to my stomach! 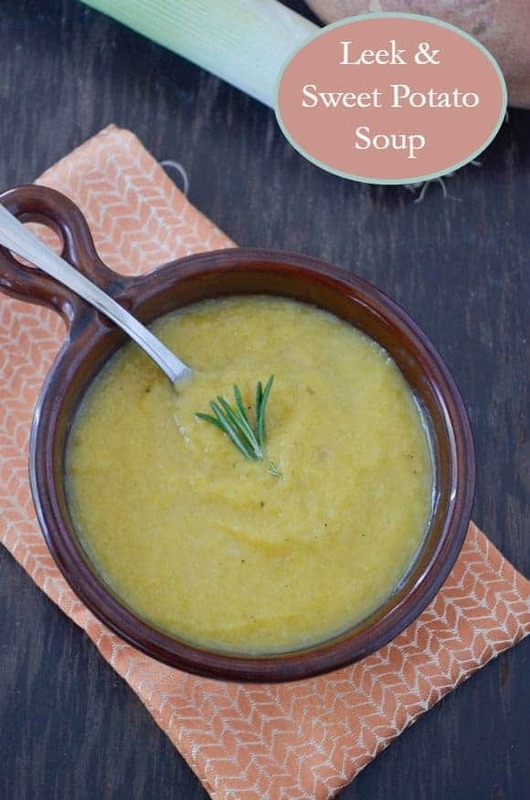 Potato soups are my favorite i want to try this one desperately! It’s been cold and rainy all weekend long. Yum!! That looks delicious; I’ve pinned it, and will definitely have to try it this winter. I’ve never had leeks, but I’ve been game to try them for a while, and this is a great excuse. Good to know they’re tricky to clean, though! Mmmm, I love a warm soup on a cold night. This looks so creamy. Thank you for sharing at Inspire Me Wednesday. Featuring you in this week’s issue. 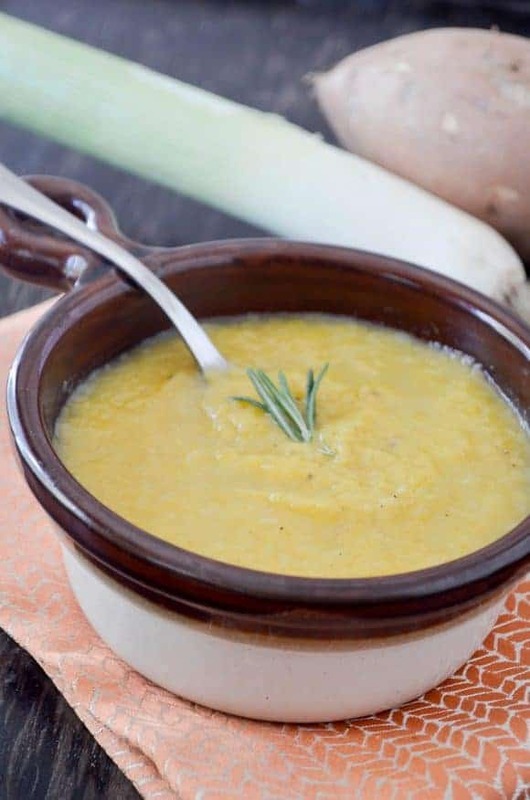 I haven’t tried a leek and sweet potato soup before, but we love leeks and potato soup, so we might give this recipe a try. Thanks.